Over twenty years of experience as a supplier of the largest manufacturers of weighbridges has enabled us to build a range of products recognised worldwide for their reliability. 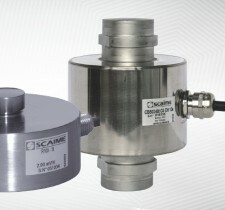 At the heart of this range are our new compression sensors, in analogue (CB50X) and digital (CB50X-DL) versions. This new-generation sensor integrates the latest technological advances and offers exceptional metrological specifications and robustness.